The offer includes both soft fabric cover and leather. One upgrade per order. The 3 seater will be charged to you at a directly comparable 2 seater sofa price. Introducing Your JOYce from Rauch. Your style for your furniture. Hundreds of combinations available. Available instore now. Let us help you design your perfect bedroom. Boundless variety of freely selectable colours and styles. Sustainable production. Made in Germany. 10 years warranty. Interior: Clothes lift, mesh baskets, trouser racks, jewellery insert and much more. Just try it out in our online configurator! Design it yourself in the online configurator! Open a world of possibilities for your window with our comprehensive range of SLX Window Blinds & Curtains. We carefully select colour palettes, trends and designs to sit beautifully with home furnishings, fabrics and furniture. SLX have blinds to suit any requirement and taste, starting with classic and contemporary roller blinds and vertical blinds. Our stunning Roman Blinds collection offer a real delight of colour and textures, perfect for anyone looking to inject a touch of excitement into their living space. Both simple and elegant, wood blinds are a popular choice of window blinds. We have a stunning collection of colours in both our Basswood and Fauxwood collections. Spoiled for choice! In addition, our SLX Custom Made Curtains are bespoke and tailor made for your personal requirements. With options for headings, bespoke lengths and the chance to create exclusive Roman Blinds to match, and much more, you’ll be spoiled for choice. Avoid January sales that are manic and stress you out unless of course you like traffic congestion and yomping around overheated shopping malls. No need to pace yourself, wear comfortable clothes, and have plenty to drink – if you get dehydrated you will become irritable and make bad decisions. May we suggest a visit to The Old Mill where relaxing shopping comes as standard with free parking, friendly staff and bargains galore! If your bed is due for an upgrade, we stock mattresses and beds from Silent Night, Sealy, Rest Assured and Burgess plus bedroom furniture from Corndell, Bentley, Serene and Gallery. Our traditional and modern furniture collection has some stonking discounts in our a winter sale. Choose from Winsor, Pacific Lifestyle, Kingstown and Gallery Direct. With up to 50% off we have a range of home accessories including beautiful mirrors, throws and cushions. We literally have 1000’s of options for you to choose from from Sherborne, G Plan and Alstons. Wed 27th Dec – The start of our Winter Sale! And after that, we’ll be back to our usual hours of 9:30 – 5pm. Merry Christmas! This Christmas, may you have the fulfillment of seeing around you the people you love the most. May you have the satisfaction of creating special memories they will remember with pleasure forever. This Christmas, may you feel peaceful and contented, knowing what Christmas means, and celebrating it your way. 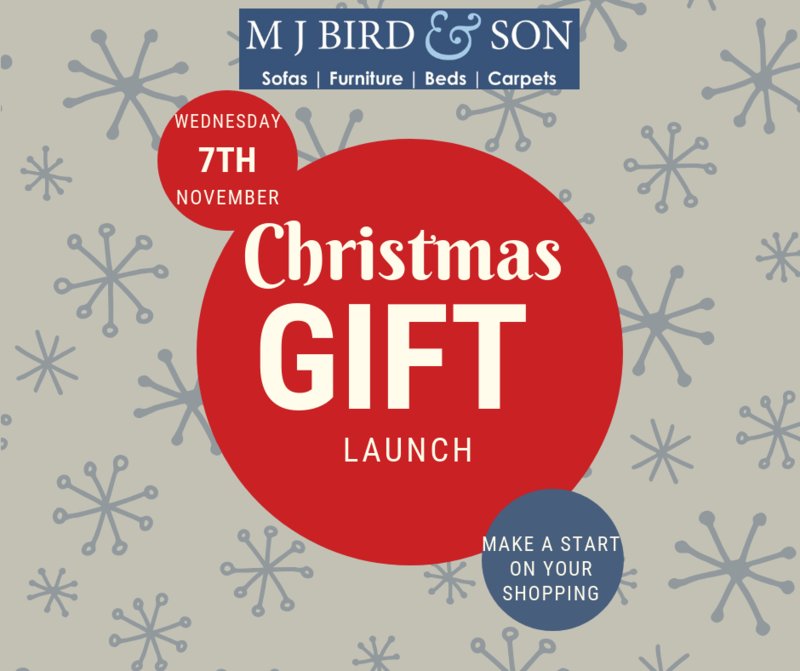 A BIG thank you to all our loyal customers and we wish you a very Happy Christmas and all the best for 2018 from David, Helen, Michael, Catherine, Harrison and Hermione as well as the team at MJ Bird & Son. We don’t inflate our prices. We don’t try to trick you with our prices. We just have good, honest prices. We have over 700 items on show at The Old Mill at any one time. For most beds, sofas and other items of furniture we offer quick delivery because we have a large stock warehouse. And with thousands of combinations of fabrics and woods you’ll be spoilt for choice. Most of our suppliers are British with many based in Lancashire and Cumbria; we choose them because they have a great eye for design and produce quality products. Our price promise is low, low prices. Our prices are often 40% cheaper and that’s on well-known brands. You could travel 100 miles and not find prices as good as ours. That’s why we’re confident that we are rarely beaten on price. And with free measuring and free local delivery, we’re rarely beaten on service too. You can upgrade to higher quality underlay and just pay the difference! Our summer sale is here, so it’s time to snap up those big ticket buys you’ve had your eye on – at a bargain price. Grab it now or regret it later! Our big-ticket items are where you can make the most of the sales, and if you’ve been planning to buy a new bed or sofa anyway then now is the time. All our departments are heavily discounted for a limited time only. You can depend on great craftsmanship from our beloved brands and great service from us. So, if you’ve had your eye on something in particular or just fancy a cheeky browse, you don’t want to miss out on these prices!